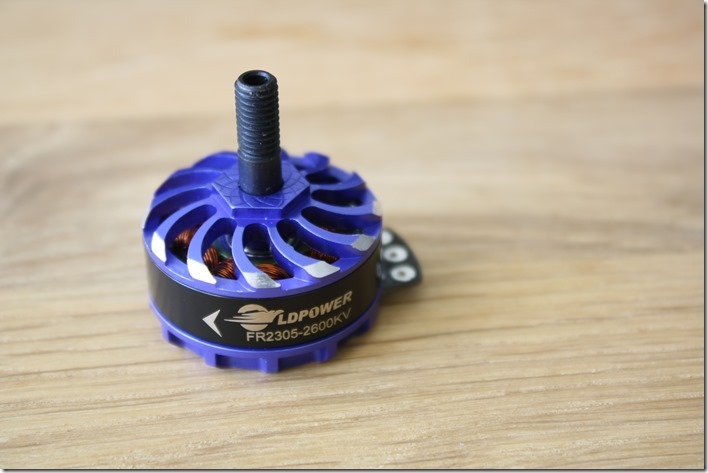 LDPower Technology updated last years FR2204 racing motors and released the new FR2305 version few weeks ago. I am very happy to see that LDPower listened to my feedback and there are a lot of improvements in the design compared to the previous version. 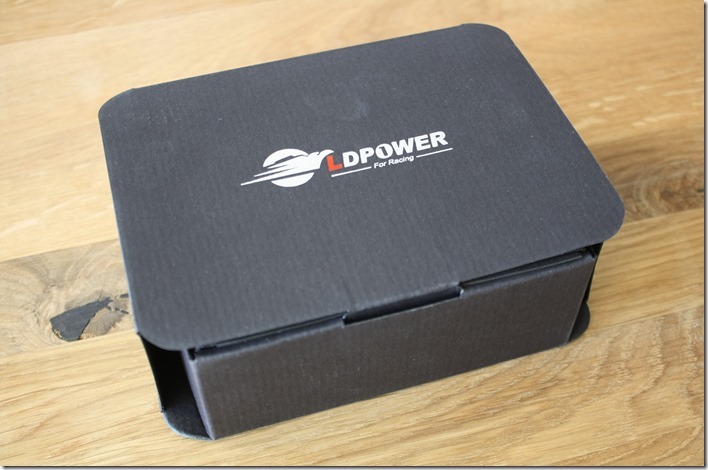 LDPower has not changed the packaging box, but has changed the motor design from the ground. Only the colour is the same – blue. The cooling of the old FR2204 motor was great due to the holes on the motor bell, which are now not present. However LDPower introduced a new cooling system, which uses the centrifugal air principal. The new FR2305 motors have a 5mm hollow shaft, which is long enough (about 13.5mm) to mount any propeller on it. 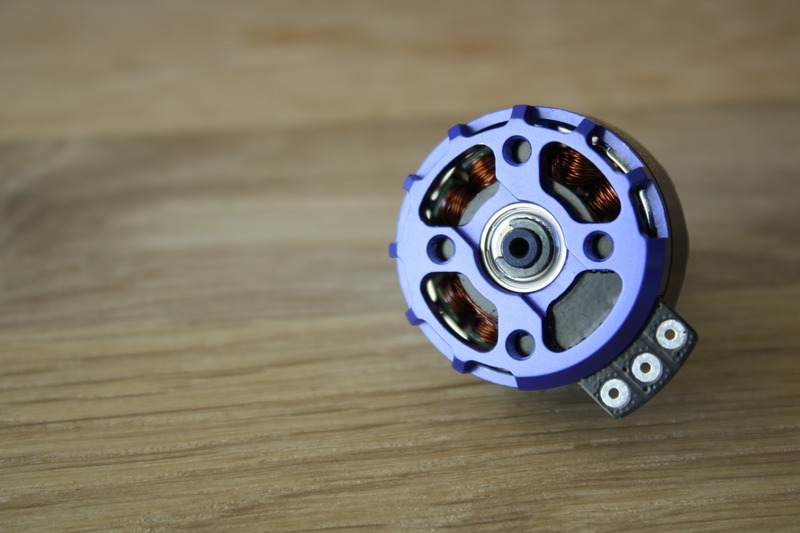 A really nice idea is, that the CW motor has a black painted shaft and the CCW motor a non-painted steel shaft. The supplied locknuts are also painted, so you you quickly figure out, which locknut you need. 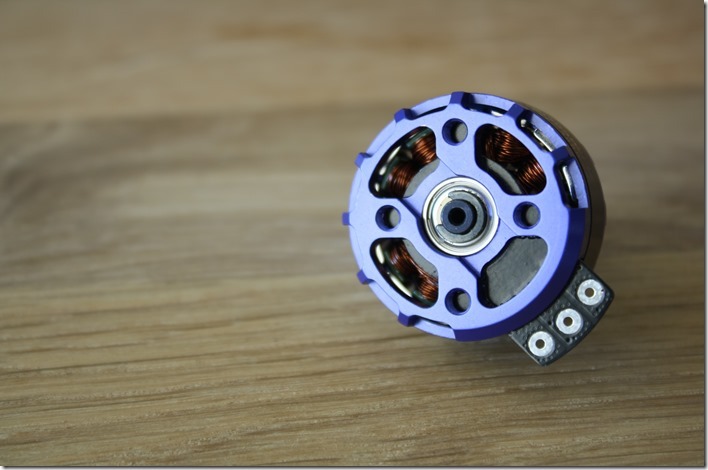 Another innovation is the top part of the motor bell, which has a hex shaped part. Using the hex wrench, that you can find in the box you can much easier change props. The new motors come with an integrated PCB instead of wires. If your ESCs are also without soldered cables, there are enough wires provided in the FR2305 package. The FR2305 uses arc N52H magnets. Not sure what is the benefit of using these. Maybe for saving some space and making the motor a bit compact. 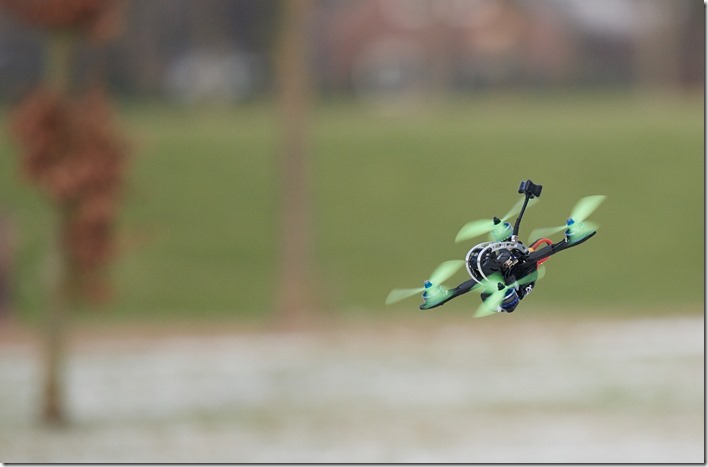 The 2015 version of the LDPower motors was very good and my FR2204 2300 are still working fine on one of my quads. Personally I find the quality of the new motors much better. What impressed me was the smoothness of the motor. I have used two types of ESC: the LittleBee Pro 20A and the Aikon BLheliS 30A. The reason I used the outdated LittleBee is because I wanted to compare the 2300kv version with all other previously tested motors. 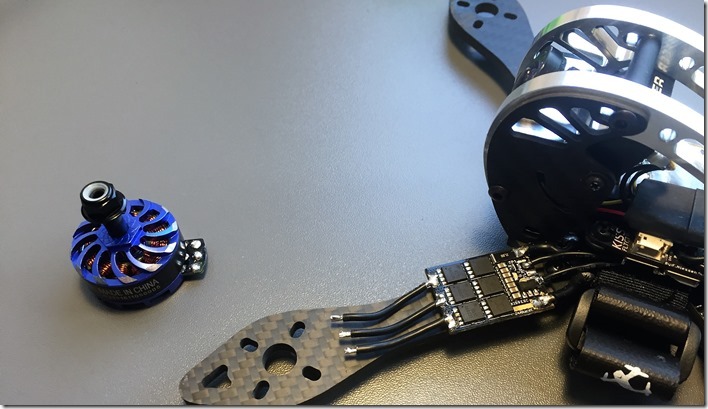 Propeller was a standard HQ5045 on 4S LiPo. 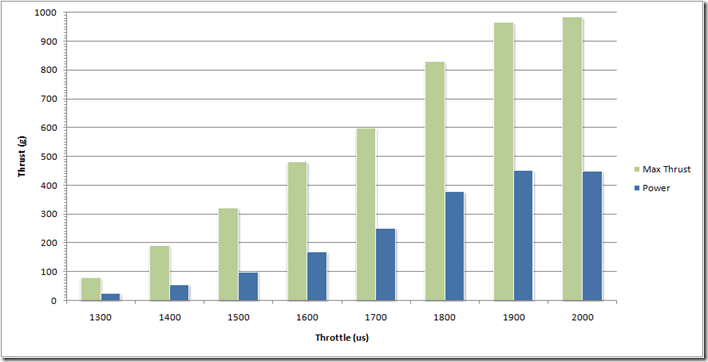 Maximum thrust was 985g, which is the second best result for a 2300kv motor among all tested. Directly compared to the old FR2204 motor, the new FR2305 provided about 80g more thrust. The next test with the best performing Aikon 30A ESC was done with a new JJPRO5046 propeller and a HQ5x4 Skizzo Tri-blade prop. 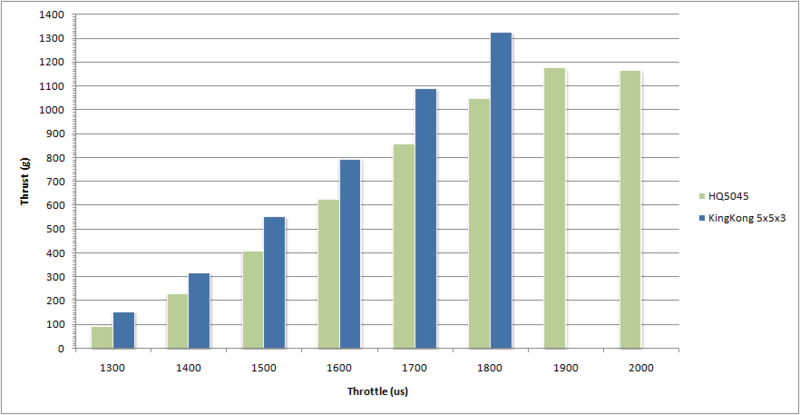 Max thrust was almost identical – 1.18kg. I also have tested the 2600kv version of the FR2305, which is absolutely identical to the 2300kv version. 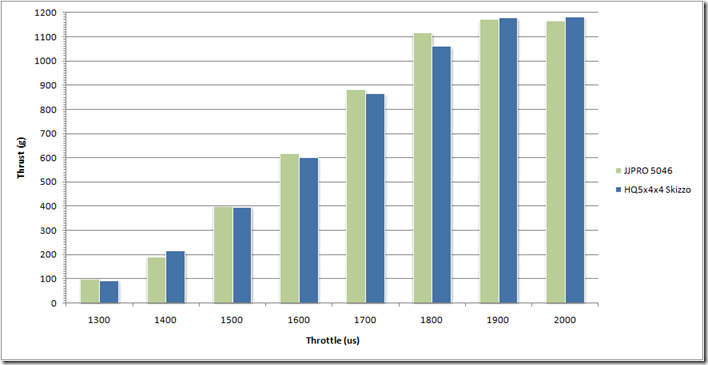 Below are the results after two tests with the Aikon 30A ESC, KingKong Tri-blade propeller and the standard HQ5045 prop. Note that I haven´t pushed the motor beyond a 80% throttle with the tri-blade prop, cause I was afraid I could burn it. It reached more than 1.3kg thrust. 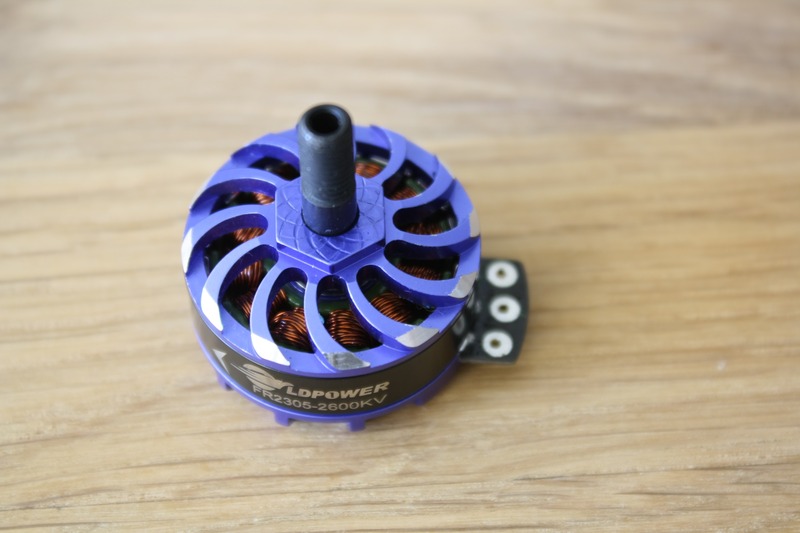 The new LDPower FR2305 motors provide a lot of thrust, have great build quality and offer some nice new features, that I haven´t seen on other motors. 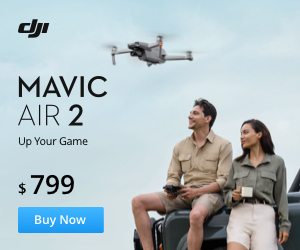 You can find the motors on Banggood for about 20$. Check out how Frederik, aka Otten_fpv, rebuild his beloved Dquad Obsession frame with the LDPower FR2305 2300kv motors. I had already built my quad using old EMAX RS2205 2600kv motors that really needed to be replaced, so I was very happy when I got these new LDPower motors. First thing I did when I got the motors was to remove the old ones and solder the right length wires onto the ESC. The next step was to put heat shrink over the ESC and the arm, so my build will look super clean. While I was checking the motor direction, I realized all motors were spinning the wrong way. I needed just to bridge the pads on the KISS ESC to change the motor direction. This is very easy and handy and you don’t have to switch your motor wires. After that I shrunk down the heat shrink and I went for a test flight. In the first test flight I noticed that the LD Power FR2305 2300KV motors have some serious top end power. But because they are 2305 type motors, they also have a lot of power on low throttle, and I like that a lot for corners. On a 4S battery with a 5040×3 prop, the motors come down very cool, to the touch not warm at all. I also tested them with a 5S battery pack: the power is insane and they only get up to room temperature using a 5040×3 prop! 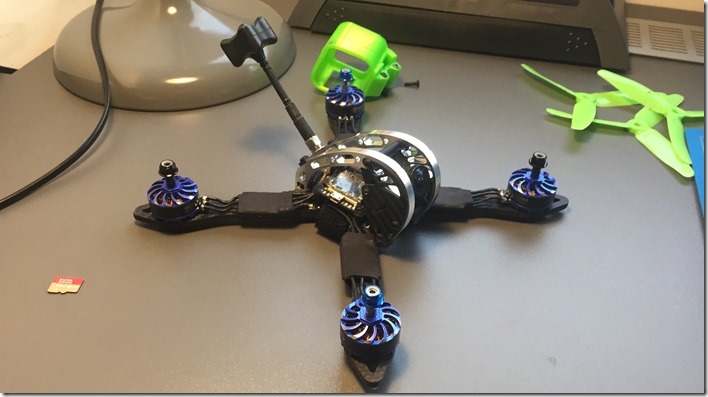 The LD Power FR2305 2300KV motors are quite durable: on my first flight I crashed motor first into an iron pole and there was no damage. I was impressed! I like the fact that these motors have a hollow shaft, because it makes them lighter. One other thing I very much like is the hex nut machined into the top of the bell, it comes in really handy in case you can’t get the prop nuts off. Just use the included wrench to get more leverage. Overall I’m really happy with the motors, they preform great, they don’t destroy batteries and they can withstand hard crashes. 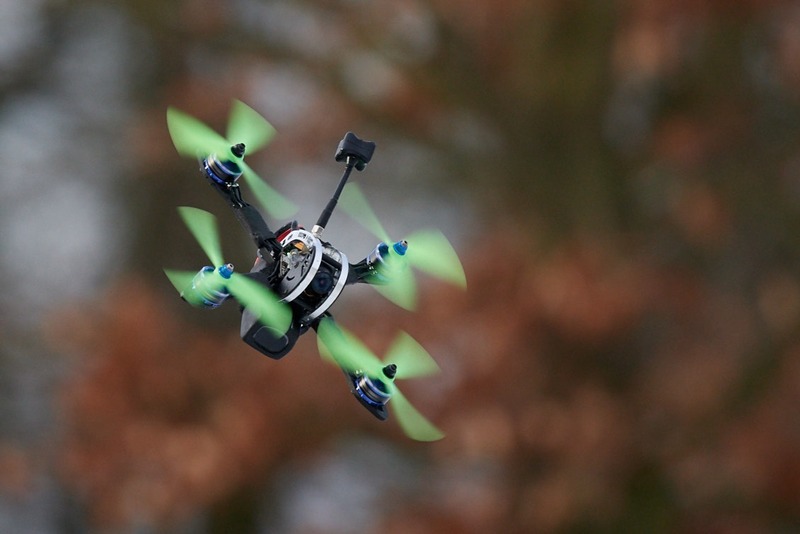 Thanks again to otten_fpv for sharing his real flight experience with the LDPower motors! Make sure to follow him on Instagram and enjoy his FPV stories.